A few weeks ago, I had the pleasure of visiting the MOSÏACANADA150 exhibit. It was quite an experience to see these wonderful artistic exploits up close and personal. In particular, the crown jewel of the exhibition – Mother Earth: The Legend of Aataentsic. Upon seeing it, I was immediately struck by the *inherent* beauty of the exhibit. And then I wondered – is this exhibit beautiful to me because I’ve been trained/influenced through cultural norms as to what’s beautiful or is the exhibit actually, inherently beautiful? The nature of beauty is one of the most enduring and controversial themes in Western philosophy, and is—with the nature of art—one of the two fundamental issues in philosophical aesthetics. Beauty has traditionally been counted among the ultimate values, with goodness, truth, and justice. It is a primary theme among ancient Greek, Hellenistic, and medieval philosophers, and was central to eighteenth and nineteenth-century thought, as represented in treatments by such thinkers as Shaftesbury, Hutcheson, Hume, Burke, Kant, Schiller, Hegel, Schopenhauer, Hanslick, and Santayana. By the beginning of the twentieth century, beauty was in decline as a subject of philosophical inquiry, and also as a primary goal of the arts. However, there were signs of revived interest by the early 2000s. Alexander Nehamas, in Only a Promise of Happiness (2007), characterizes beauty as an invitation to further experiences, a way that things invite us in, while also possibly fending us off. The beautiful object invites us to explore and interpret, but it also requires us to explore and interpret: beauty is not to be regarded as an instantaneously apprehensible feature of surface. And Nehamas, like Hume and Kant, though in another register, considers beauty to have an irreducibly social dimension. Beauty is something we share, or something we want to share, and shared experiences of beauty are particularly intense forms of communication. Thus, the experience of beauty is not primarily within the skull of the experiencer, but connects observers and objects such as works of art and literature in communities of appreciation. So, maybe my writing of this post about “Mother Earth” is a way of sharing the experience with all of you or inviting you to share the experience with me. If you live in the Ottawa-area, you’ve still got 6+ weeks to visit Jacques-Cartier Park and enjoy the ‘beauty’ in all its splendour. A few weeks ago, I had the chance to participate in Doors Open Ottawa. This is an annual event in Ottawa where some of the oldest (or most celebrated) buildings in the city open their doors to the public for free tours. While visiting the Supreme Court of Canada, I heard a fascinating tale that I hadn’t heard before involving the Queen and the laying of the cornerstone for the building that houses the Supreme Court of Canada. Have you ever heard the phrase, “set in stone?” I’m sure you have — you’ve probably even used it yourself. Well, it turns out that there just might be a bit more wiggle room than previously thought when it comes to something being set in stone. In 1939, there was a Royal Visit to Canada planned for Queen Elizabeth. On this trip, the Queen was set to lay the cornerstone for the building that would house the Supreme Court of Canada (until that point, the Supreme Court had been operating out of one of the buildings on Parliament Hill). As the schedule was meticulously crafted, the person responsible for carving the date into the cornerstone already knew when it was going to be laid. So, the date on the cornerstone was etched in as the nineteenth day of May, 1939. Given that this was going to be a Royal Visit to Canada, there were other things on the schedule, besides the laying of the cornerstone for the Supreme Court of Canada. There were plans to take a train across Canada to visit all the way to Vancouver! However, there was one thing that wasn’t accounted for in the timeline of the trip — the weather. That is, when the Queen travelled by sea to Canada from the UK, there was heavy fog that delayed the trip. As a result of this fog, the meticulously planned scheduled had to be amended in places. One of those places that had its schedule amended: Ottawa. In particular, the day that the Queen was set to be in Ottawa was no longer than 19th! In fact, instead, the Queen wasn’t in Ottawa until the twentieth. I suppose you can see where this is going. So, when the Queen “laid the cornerstone” for the building that houses the Supreme Court of Canada, the date was May 20th, 1939. However, the date on the stone read, May 19th, 1939. So, why am I telling you this? It’s been some time since my last series (almost a year and a half ago) and even longer since the last time I did a series about a book. I’ve definitely read a number of books since then, but one that I’ve recently, I wanted to explore a bit more in-depth, so I thought I’d write a few posts about it in a series. 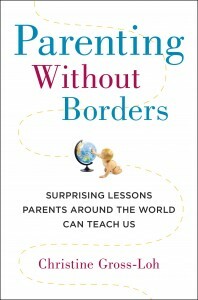 As the title of this post suggests, we’ll be exploring “Parenting Without Borders.” Part of that’s because the topics within the book are so juicy and part of that’s because my little guy is already beyond the “10 leaps” from The Wonder Weeks. I will say, though, if you’re about to have a young one or you’ve just had a young one, The Wonder Weeks did wonders when helping me to understand why my little guy might have been fussier at times. This is really important because it helps you, as a parent, to understand a little better the things that your baby/toddler might be experiencing. There’s also a Wonder Weeks website. So, what’s Parenting Without Borders, you ask? Christine Gross-Loh exposes culturally determined norms we have about “good parenting,” and asks, Are there parenting strategies other countries are getting right that we are not? The only word that I take issue there is “right,” but that gives you an idea of the kind of material we’re going to be exploring in this series. Let’s get right to the introduction of the book. Right away, Gross-Loh paints a picture of her childhood. Born to two immigrants of the US (via South Korea), she was always given lots of space to do her own thing, but she knew that her parents were worried that they were doing right by her. Her folks would meet with other Korean families to discuss schools, among other things. They would eat no junk food, watch no violent TV. If my children were raised peacefully, they would never show interest in weapons or war. I would be attentive to them and watchful of their feelings. I would be an accepting, protective parent to give them a secure base. I’d been taught it was important to put our kids’ needs first, to give them lots of choice, to praise them to make them feel confident. My American friends and I sought out the right classes, toys, and books to foster our young children’s development, helped oversee their relationships and disagreements with other children, went to bat for them with their teachers and coaches, and guided what they did in their free time. I think that’s probably a pretty accurate description of how many parents want to be. But as my own children attended local Japanese schools and we spent time with Japanese families, I saw children raised in a very different way who were clearly thriving — just as much — and sometimes more — than our own. Moms in Japan were surprised by how uptight I was about allowing sweets and were startled by how I monitored what my kids were allowed to watch on TV and the way I tried to stay on top of their behavior. My Japanese friends, unlike me, left their children on their own to figure out their relationships with other kids. But despite how lax these Japanese moms seemed to me, I was constantly surprised by how mature and well-adjusted their children were, how capable, and how pleasant. These were kids being raised in ways that the American parents I knew might look at as simultaneously too permissive and too strict, yet they were clearly thriving. It was during that time that I realized something that would change me completely: The parenting assumptions I’d held to be utterly and universally true were culturally based. And this is why I’m writing a series on this book. There is so much value to be had in exploring the “truths” of different cultures, especially as it relates to shaping (or not shaping?) our young ones. How Y’all, Youse and You Guys Talk: What About Canada? I’ve been clearing out some of the tweets that I’ve favourited over the last week or so and one of them was a fun dialect quiz from the New York Times Sunday Review. There are 25 questions that ask you the various ways you do (or do not) refer to certain things in the world around you. For instance, do you say y’all or youse or you guys (or something else) when referring to other people? I found it relatively fun. If you do decide to do it, though, I’d advise you to be careful in selecting an answer too quickly. There were a few questions where I clicked on one option and hit next and as the next question was loading, I noticed that there was actually an option for (none of these). I realize that the New York Times is hosting this quiz, but I would have been interested to see where I stand in Canada. Maybe The Globe and Mail or the National Post can look into doing something similar? I grew up in the Toronto area and have spent some time in British Columbia (and now Ottawa), but I’d be interested to see how I compare to other Canadians. Since I did grow up in Toronto, I wonder if that throws a wrench into my dialect. And, since I’ve lived in so many different places (California, Hawaii, New Zealand, Michigan, Virginia, etc.). On the whole, it turns out that my dialect is closest to the people in Portland or Seattle. If I’m being honest, after undergraduate university, the west coast of the continent is where I’ve spent most of my adult life. I spent about a year in California and about a year in British Columbia (and about a year in Hawaii). The next closest would have been Virginia with 2 years. Anyway, while at Sofia University and learning aikido, I remember one of the classes quite vividly. In this class, we were learning about the five elements, as they related to aikido. In particular, we were learning about earth. The Sensei (teacher) asked one of the smallest women in the class to come to the front and then he asked me to come to the front, too. He asked her to stand normally and then asked me to lift her off the ground from under her arms. I did it easily. Next, he asked her to imagine that she was the earth element — planting roots deep into the ground. After a few dozen seconds, he then asked me to try lifting her again (in the same way I lifted her before) — nothing. I bent my knees a bit more and put some more force behind my lift — nothing. It was quite clear from the first half of this exercise that I could lift her off of the ground, but when she was imagining that she was the earth element, I was — so it seems — helpless. I’ve written before about the importance that our words/thoughts can have on ourselves (and on each other! ), but this is a tangible example of how someone’s beliefs are actually effecting reality in a very tangible way. Is there something you’re believing about yourself that may be limiting your ability to lift yourself off of the ground? Psychologists Ulrich Weger and Stephen Loughnan recently asked two groups of people to answer questions. People in one group were told that before each question, the answer would be briefly flashed on their screens — too quickly to consciously perceive, but slow enough for their unconscious to take it in. The other group was told that the flashes simply signaled the next question. In fact, for both groups, a random string of letters, not the answers, was flashed. But, remarkably, the people who thought the answers were flashed did better on the test. Expecting to know the answers made people more likely to get the answers right. Editor’s Note: As an aside, I’m in the process of moving from Washington, DC, to Ottawa, Canada (the Glebe! ), so my posts may become a bit sparser over the next few weeks. I’ll still do my best, but if you don’t see anything for a couple of days, it’s probably because I’m busy with planning/arranging the move. As 2012 draws closer to its end, I find myself reflecting on the past. Not the distant past, but the recent past. In fact, with Christmas here today, I found myself reflecting on the last 5 Christmases and just how much things have changed for me over those 5 Christmases. Let’s journey back, shall we? At Christmas in 2008, I was on reprieve between quarters of the first year of my PhD in clinical psychology (obviously, I didn’t continue with that route). For that Christmas, I left the balmy shores of San Francisco for a flight home to visit my family in Toronto and Detroit. It was a great time. In 2009, I was in Victoria, British Columbia living on a floathome. My partner and I had just recently come back from New Zealand and decided to spend some time living in the floathome that we had for sale. For that Christmas, my partner and I accepted an invitation to have Christmas dinner with some of the folks living on the Wharf. This particular family had invited a bunch of folks over, so there were like 20+ people inside of this one floathome having Christmas dinner! The Christmas of 2010 was one that I won’t soon forget, partly because I was just recently married, but probably more so because I spent it on one of the top 10 beaches in the world — on the island of Kauai (in Hawaii). My wife and I got up early on Christmas morning and we went down to Hanalei Bay. The exquisite backdrop of the mountains paired with the sound of the gentle waves kissing the shore… amazing. In 2011, my wife and I drove up to visit our families in Ottawa/Toronto. If I recall correctly, we spent Christmas in Ottawa visiting with family and friends. It was a rocking good time and makes me consider Ottawa as a place that I might like to live. And now, 2012. This year, my wife and I have decided to *stay* in Fairfax, VA. I wrote stay like that because it’s not as if we’ve lived in Fairfax for very long (only since August), but we have been in the DC area for over a year now, with me finishing up an MBA. If you would have asked me in 2008 about any of the subsequent Christmases, I almost assuredly wouldn’t have been able to guess how any of them turned out. Victoria!? HAWAII!? FAIRFAX!!? 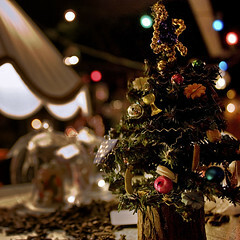 Who knows where I’ll be for Christmas in 2013. Wherever I am, I hope I’m happy and surrounded by people that I love.